People are at the very heart of everything Barcelona Guide Bureau does. And this isn’t another of those typical business clichés – we are fully conscious that our people are our most valuable asset. Put simply, without the right people the company would be nothing. Our guided tour services are provided by licensed guides who are both highly committed to and highly enthusiastic about their jobs. Our guides constantly strive to ensure that all of the people on their tours are completely satisfied. We are aware of the clear need of companies to have professionals attend to them and accompany them during the development of each service. By choosing Barcelona Guide Bureau, you will see how our services successfully meet this need. In 2017, Joan retired from executive duties and any corporate responsibility of the company. He is now Honorary President and continues to offer his help and advice to the new management. 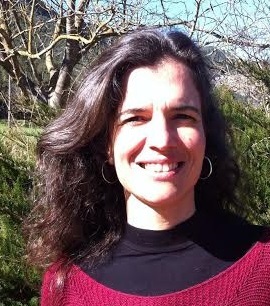 Carmen is co-founder of BGB (1990). After graduating in Tourism she worked as a local guide and combined the job with periods abroad (Firenze, Montpellier, Brussels and New York), which improved her language fluency and allowed her to get to know other cultures. 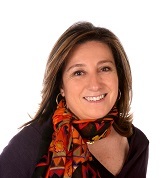 She has a Master in Marketing Management (EADA) and is currently the Managing Director of Barcelona Guide Bureau. 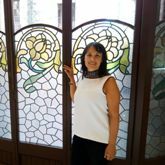 Carmen loves Barcelona, and, because no two clients are the same, her purpose is to offer tours geared to everyone’s likes. 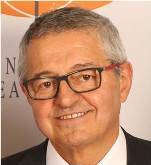 Carles has devoted his professional life to education and guiding. On the one hand, he has over 25 years experience of local guiding and as a Tour Director around the world. On the other hand, he has taught in various tourism schools in Barcelona and is the author of a reference book about guiding, he also lectures in training centres of Spain and South America. His experience in both fields plus his MBA in EAE make him an excellent Director of our Guide’s Training Centre and of the Quality Department. Mercè was aged just 17 when she first worked as a guide, before graduating in Tourism. Now, having spent over 30 years in the Tourism business, she has realised that there are two main passions in her life: BGB and her family. Far from being conflicting, her capacity for organization, hard work and caring about people have made her excel in both spheres. As a founding member of our company, she started as a guide and over the years has been involved with several departments. 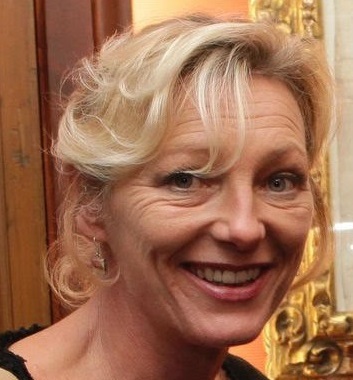 She is currently head of the Guide Department and also collaborates in the commercial area. Gemma has studied Economics from the University of Barcelona and she has a Master in Public Relations and Events’organization for the UOC. All his professional experience has been in the field of finance and accounting, she has been controlling the accounts of services’ companies for more than 20 years. She is passionate about traveling with his family, with friends, and getting to know new places and new cultures. She is a very outgoing person, she likes to work as a team and is very organized. She is married and has two teenage children. Ramon was a guide at the Palau de la Música Catalana for several years. He changed airs to join Barcelona Guide Bureau reserves team, where his knowledge on the guiding profession was the key to understand the interests and needs of our clients. Adding his experience in agencies providing public-facing services, he has acquired a broad picture of the tourism sector. Ramon loves dealing with people of every nationality, understanding their needs and making sure that they enjoy the visit to his hometown. 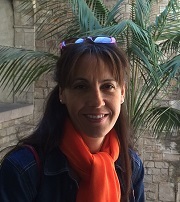 Clara has a degree in Environmental Sciences and was a guide at the Palau de la Música Catalana while she studied. She continued her career as an energy and environmental consultant where she was actively employed in a variety of sectors, and took a postgraduate diploma in sustainable energy. Growing up in an English-Catalan family has made her multi-lingual, open-minded and a lover of travel and sensitive to the world’s environmental and cultural diversity. She joined us to help us develop a more sustainable and socially committed company. Irene holds a university degree in Journalism and she has experience working in television, radio and newspapers. Years ago she ventured into the new journalism: the online world. She worked in Digital Marketing, Sales and Social Media in London (UK), Miami and Chicago (USA). Back to Barcelona, the city she loves the most, she enjoys working with and for people in the spiderweb universe. She loves travelling, meeting people from all over the world, dancing and of course, this amazing city. Karla was born and raised abroad. She settled with her family in Barcelona when she was a teenager. Since then she has been living, traveling and exploring other countries like USA, Thailand and Czech Republic, etc. And so she fell in love with tourism. She has a Bachelor Degree in Tourism Management. She has improved her personal skills doing her Internship in different tourism sectors, such as hotels and travel agencies. While she was studying, she started as a trainee dispatcher in our Daily Tours Booking Department, and nowadays she is part of the team. She likes to work in job positions involving a high level of customer care and service. Therefore she thinks it is very important to always say thanks, show self-confidence and a broad smile. Languages. Native:Català, Español. Fluent: English. Eva makes sure that everything runs smoothly like silk. She holds a Bachelor of Arts and a Master in Audiovisual Translation. She is a lover of literature, languages, traveling, people and, definitely, Barcelona! When she finished her studies she started her professional career in the tourism sector where she could put together all her passions. If you want to organize the perfect event or an exclusive private tour at La Casa de la Seda do not hesitate to contact her. 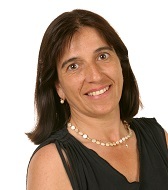 Elisabet has dedicated her professional life to work in management, control and accounting departments both in health and education sectors. She counts on a diploma in business and a degree in management as well as a master’s degree in accounting and management control. She recently joined the team to give support to the accounting and finance department. Germana is passionate about tourism. After a University degree in Hospitality and Tourism Management in her home town in Naples, Italy, she decided to live and work in London for 2 years where she started working in the Hospitality industry. Her passion for the languages and specially for the french one pushed her to Paris, one of the city she loves the most, where she lived and worked for 3 years in Hotels. She ended up in the sunny Barcelona where she finally found her “home away from home” and the perfect professional fit. She loves languages, Neapolitan food, french culture and Spanish way of life. 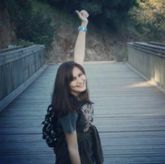 Mele was born and brought up in Barcelona, and although she loves travelling, she cannot imagine living anywhere else. She worked for 6 years in the textile sector to later focus on Tourism. To achieve her goal, she lived in England for a period and returned to study Tourism Marketing. 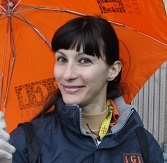 She developed her internship at Barcelona Guide Bureau and now she is responsible of our Daily Tours booking department. Laura is graduated in tourism and has worked in various museums and travel agencies. She is in BGB’s booking department since 2007, where she specially enjoys being in touch with people. She is in charge of the reception desk and makes sure visitors feel welcomed and solves their first inquiries, she also dispatches our coach tours. She works day by day to provide an excellent customer service, which includes learning every detail about Barcelona. Laura also loves travelling and getting to know other cultures. Leo studied tourism in Argentina and has been living in Barcelona since 2009, after a year studying English in the UK. In 2012 he started in the world of the receptive activities (individual tours, private, groups, team building etc). Leo travelled over 30 countries in Europe, Asia, America, Africa and the Middle East. Getting to know other cultures and ways of life is what motivates him. Barcelona is a city that he really loves and continues amazing him every day. He speaks English, Spanish and after two years studying Catalan he can add now a new language to his knowledge. Clara grew up in a Catalan-Belgian family in the rugged yet beautiful Costa Brava (North of Catalonia). Thanks to her degree in Computing she has a technical perspective although she soon became interested in the commercial field. To this end, Clara has since acquired a Postgraduate degree in Tourist Company Marketing and accompanied this with her work in the tourism sector. Her fundamental objective is to provide excellent Customer Service. She believes each person is a world and that our unique personalities and characteristics require unique and personalized services. Born in Barcelona in a Spanish-Algerian family, Somaya grew up surrounded by several languages: she is a native speaker of Spanish, French, Arabic and Catalan, fluent in English and learning German. She loves learning languages and is developing her gift by studying Translation and Interpretation of German and English. She lived in Munich for a year to improve her German and is currently combining her studies while working at Barcelona Guide Bureau for the department of Daily Sightseeing Tours. In her free time she takes theater classes. She loves to travel by train, cookbooks and discovering the inner world of people! Born and raised in Barcelona in an andalusian-extremaduran family. He is a local culture lover and he enjoys a lot learning new things and sharing it. He decided to study tourism because of his passion about history, culture, arqueology and also about Catalonia. He found an intership with Barcelona Guide Bureau in Palau de la Música Catalana while he was finishing his GNVQ tourism studies. After that, he joined our Daily Sightseeing Tours Department. His favorite hobbies are languages, hiking and cycling hiking, music, choral singing and politics. Therefore, he thinks that the most important thing in life is doing what you love with effort, passion and a smile. Languages: Native catalan and spanish. Fluent english. Intermediate french. She is our Dutch- born guide. She’s been sharing her hobbies for more than 20 years with the visitors of Barcelona: The Arts, Gastronomy and Architecture. A traveler, nature lover and painter in her free time, she has been around the world, sharing her experiences with people in Canada, Costa Rica, India and a dozen or so of other countries. Favorite tour : Montserrat with a visit to the Codorniu cellars. My favorite tour is the one in which each participant is happy, and feels that this is the best day of his or her stay in Barcelona. A Taylor- made tour, adapted to the expectations and needs of every guest is the ultimate experience. To me, it is the greatest joy to combine a walk around the historic buildings in the medieval part of town, discovering hidden corners and the rich cultural roots, with a visit to some of the most surprising pieces of architecture of the 19th and 20th centuries, sharing with my guests colorful anecdotes and stories. 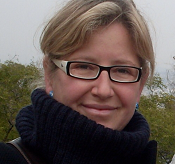 Tanja’s vocation and education is Architecture, with a Master’s in Restoration of Architectural Monuments. Although she now enjoys and feels fulfilled guiding in Catalonia, a profession she finds complex and challenging, but also gratifying. She loves to share her knowledge and passion for architecture, arts, history, traditions and flavours, meeting different cultures and “expanding horizons”, her enthusiasm is contagious and she likes to see the glass half full, preferably with a good wine! Her energy trespasses borders and professions; she was a diving instructor in Greece and Egypt, English teacher in Brazil, drawer in archaeological excavations in Yugoslavia, public relations and model in Barcelona. She speaks fluently English, Español, Srpski (Serbian) and Catalan and she can also manage French, Portuguese and Pyckийязык (Russian). She is one of our most well qualified guides and holds two degrees in Tourism and Business Administration. She is proud of her city and passionate about her job. She loves natural things and meeting people from different places. Walking with her is like seeing the city with a joyful friend, who makes you discover the secrets and stories of every corner. She easily identifies the needs of every type of costumer and solves problems with a refreshing and solid guiding style. She is also very knowledgeable about the most important painters. A serious, elegant and very professional guide who loves learning and sharing her knowledge. She is a history and art enthusiast, and is passionate about modern architecture, especially the Art Nouveau style which is so well represented in our city. She has also been involved with music from a very young age, a cultural feature with deep roots in the city. She enjoys shopping, talking about fashion, designer clothes, theatre and opera. She shows the city including a bit of everything: history, art and the locals’ day to day lives. One of our most enthusiastic guides, Núria is cordial, has a simple personality, pleasant manners and is easy to communicate with. She has a great capacity of improvisation and adaptability to all circumstances, and is a dynamic, well organised and reliable person. She enjoys meeting people from all ages and nationalities, and despite her many years of experience she still gets a thrill from witnessing the evolution of the SagradaFamilia’s construction works! Mònica is passionate about art and considers it a privilege to be cicerone of her home town. As she always says, she counts with the world’s best team: Gaudí, Picasso, Miró and so many others that are her daily allies. Mixed with the secrets she loves to share about Barcelona, it has all made her a very versatile guide. 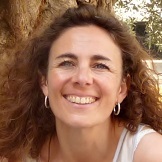 After more than 20 years’ experience in the tourism sector, she believes that “At the end, the most important is not what you explain but how you explain it to ensure that each person has their best experience in Barcelona. 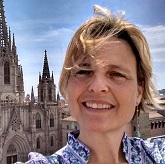 Review : ” Greetings ……Our Barcelona tour with Monica Suris was WONDERFUL this morning….She is very knowledgeable about the city and Gaudi, and shared her appreciation for his work. Her English is much better than our Spanish, and Carlos drove thru the city with ease, and both were charming and great representatives for Barcelona. At the age of 8 or 9 she wanted to be an architect but ended up studying tourism and history of art. Early on, she knew she would become a tour guide. She started working at the age of 20 as a tour manager travelling all over Europe, and a little bit later she started the adventure of showing her own city. Barcelona is the place to be for an architecture lover who enjoys and is proud of showing its wonders to visitors. Thanks to her education, Mónica is a great specialist in art museums. Languages: Català, English, Español and Italiano. Mireia holds a degree in Tourism and has studied and is passionate about Art History. She has a good understanding of the travel industry working in the field for over 20 years including posts in Spain, the UK and Japan. It was only recently that she started tour guiding, something that she had wanted to do for a long time, and now doesn’t regret any second of it! To her, meeting people from other countries and cultures and being able to share with them her knowledge of Catalonia and experiences is very enriching. She would like to brush up her Japanese language skills and loves English humour and salsa dancing. Languages. Native:Català, Español. Fluent: English Français. Dan is doing a degree in English Studies and would like to do a master’s degree in the field of Political Science. When he was a teenager he spent most of his summers in the UK, Ireland and the US to improve his level of English. It was in 2014 when he joined BGB to become a guide at the Palau de la Música Catalana and nowadays he’s a member of the booking department. During the time he worked as a guide he became aware of how lucky he is to live in Barcelona since this city offers so many attractions to all kind of visitors and also that each culture had its own expectations of Barcelona. Dan always says that his dream is travel to Australia and New Zealand. A very professional guide who has a great personality. The multicultural and cosmopolitan ambiance she possesses makes her the ideal candidate for visitors to take home the memory of a Barcelona full of new experiences and sensations. The tours she leads have an original touch and convey a feeling of familiarity that make them a very unique experience. A woman fascinated by design who is always in search of innovations in every aspect of life. Elisabeth is passionate about fashion and interior design. A tour with her is like going for a walk with a group of friends… but with a solid experience based on many years of guiding. In summary, she is an exceptional, warm guide with a very fashionable touch. Those who know him well call him Googleman because of his hunger for knowledge and new technologies. He moves around on a bicycle. He is in love with Barcelona and Catalonia, and started working as a guide during the 1992 Olympic Games. A tour with him is a very enriching experience, he combines explanations on different subjects with a savoir faire based on his experience. He has information on a variety of subjects thanks to his passion for reading. He can adapt to any situation and his organizational skills are innate, he knows what fits best for every occasion. He is in very good shape and fit for trekking and long walks. Larbi was born in Morocco and came to Barcelona in the summer of 2006. He fell in love with the Catalan language and started studying it at the Centre de Normalització Lingüística (Centre for Language Planning), where he met with many Catalan locals. He spent many years teaching English and French. He is a member of the fantastic team of guides at the Palau de la Música Catalana concert hall, and also teaches Arab and English. She is someone who, fascinated by art, architecture, languages and the Mediterranean culture, cannot help trying to convey her enthusiasm and passion to those she hosts —and also has a great sense of humour. Lali is the ideal person for those who seek a deep knowledge of Barcelona provided by a classy woman. Joana is in love with her job and city, her personality is defined by the Andalusian, Swiss and English cultures, and lives each day as something unique and exciting. She loves arts in all its manifestations and enjoys sharing her knowledge and joie de vivre with everyone. She is a warm, fun and amazing person who tries to make her tours an enjoyable and unforgettable experience. Rick Steves recommends her in his travel guides. Born and raised in Barcelona, Jessica graduated in History and Anthropology by the University of Barcelona. She also lived and studied in The Netherlands, UK, Belgium and South Africa, where she improved her language skills. Working as a guide since 1998 grants her the opportunity to go in depth into the comprehension of the soul of her culture through its art, history, traditions and the day-to-day life. She enjoy learning and understanding , an acquisition of knowledge which she loves to share with visitors. Nowadays, she has the privilege to live in the province of Girona where she is immersed in its rich natural and cultural patrimony, like its medieval heritage or the fascinating work by Dali. An enchanting region that surprises and delights the ones who visit it. Jaume Andreu, James Andrews in English 😉 is a passionate about history, arts and culture. He loves travelling and meeting new people. He always learns from them. That’s why he decided to become a tour guide. In fact, he decided his vocation when he was a child. He always wanted to be a tour guide, travel around the world and discover fascinating monuments and places. His best satisfaction is helping people to understand what they see. He studied Tourism and a superior degree of tour guide. He did Erasmus in Italy for a year. He had also been in England and Ireland doing summer exchanges where he learned another culture and traditions. A very rewarding experience! He loves Barcelona: a place that accept everyone and that never sleeps: land of life, with a plenty of corners ready to be discovered, where people is everytime happy, ready to help everyone; full of stories and legends. Let’s discover it together! Former professional gymnast (Uzbekistan National Team) and participant in the inauguration of the 1980 Moscow Olympic Games. Irina is passionate about Artistic Gymnastics, Rhythmic, Ballet, Music, Painting, Theater, Architecture, History and children among others. Of cheerful and enthusiastic character their guides turns them into an entire spectacle “almost theatrical”. Bachelor’s degree in Bibliography and Bibliology and Superior Technique in tourism information and marketing. As well as like all the translation of the Work of Lluís Domènech i Montaner to Russian. Fluent: Català, Spanish and English. She has been living in Barcelona since 2005 and working as a guide since 2007. She loves telling stories and giving hints on where to visit in Barcelona, a city which she finds amazing. For her, being a guide means giving a different and deeper insight of the places visited, and doing a job that is different and fun every day. She is guide at the Palau de la Música Catalana and La Casa de la Seda. Also take care assistance groups and hospitality desks transfers. Languages. Native: Català and Español. Fluent: English, Français and German. She was born and raised in Barcelona and has travelled and lived in other parts of the world. Her home, however, is by the Mediterranean shore, that she considers herself a daughter too. She is passionate about the sea and the beach, the historic past, her people and customs, food and wine… She holds a degree in Psychology, loves to learn about and understand other people’s cultures, and enjoys sharing her own. She is also a versatile guide who gets along with people from all nationalities. Caterina was born in Milan – Italy, but she lives in Barcelona; she worked for six years as an actress and, as she enjoys theatre, she also enjoys communicating. In fact, what she finds most satisfying is making herself understood by those who don’t speak her language, because the desire to communicate with people goes beyond words.That’s why she likes being a guide, and being able to meet people from different countries and cultures. She loves Barcelona because of its art, the wonderful narrow streets in the Gothic quarter, and because there she can take a nice walk along the seafront or in the mountains. In her free time she loves reading and cooking, just as every good Italian does! 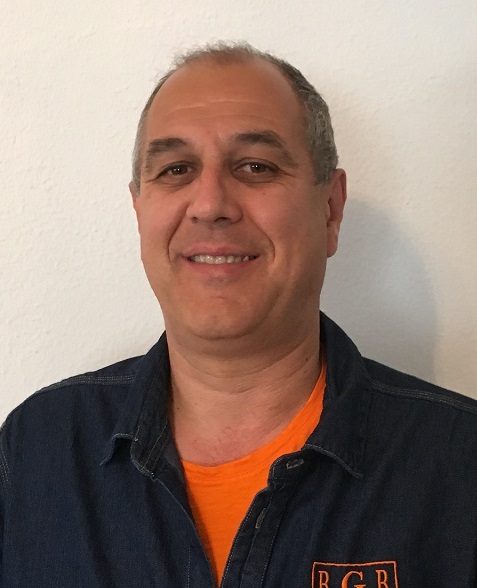 Head of our Guide’s Training Centre, Carles was born in Barcelona and is the author of the reference book used in Tourism Schools to teach new guides his passionate profession. His years of field experience as a Tour Director escorting around the world, gave him the necessary knowledge about people and cultures preparing him to become a great “cultural interface”, a professional communicator that knows how to convey in a few words, what is essential to be communicated. Enjoys life, loves cooking and good gastronomy as well as the world of wine and has passion for motorcycles. Berta was born and raised in Barcelona and her father passed his love for the city to her. Fascinated by the world of art, she was graduated on History of Art and later in Preservation and Restoration of Heritage. Now she’s focusing her activity on dàncing: training, creating and researching on body. A background that she likes involving when she’s guiding, a job that she loves because it’s allowing her being in contact with people from all around the world that are discovering her city and land. 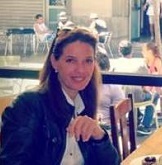 She loves discovering the beauty of her place to its visitors and being part of people’s experience in Barcelona. He was a professional actor before he started touring the city with visitors as a guide. 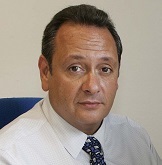 He is a veteran whose communication skills and British Mediterranean sense of humour stand out. Accurate, clear information and objective interpretation are his trademark. He is a guide whose style is casual and who always keeps in mind that the people he hosts are on vacation. Languages: Català, English, Español, Français. Favorite Tours: La Sagrada Familia of course ! Different at each time of the day. From wine lands (Sant Sadurní) and spirit of town I moved to the great city of Barcelona to study History. Why study History, there is not career! They told me. History is knowledge. Knowledge generates consciousness. The conscience gives freedom. I want to study always. In Barcelona I found everything I needed, from remnants of remote times to avant-garde trends, from traditional cuisine to signature cuisine, from the most ingrained traditions to the most modern and international festivals, from sea to mountain. Luckily I found warmth, but never cold! And the guide offered me, not only the option to dedicate myself to a job that constantly demands study, but the opportunity to learn from all those travelers, who with their different backgrounds, come to discover Barcelona with our tours. “I arrived in Barcelona in 2009. Married with a Catalan. Graduated in Philol.logia Hispánica by the University of Algiers. Passed by languages and to discover new cultures. I also like teaching (before I was a French teacher) and I am currently enjoying myself as a guide because it brings together my favorite things: languages, contact with people and culture. My hobbies include cinema. In my free time, I am an editor for the Redrum blog. I’m also a member of Toastmasters 3 years ago, a platform where we learn to develop our communicative abilities. Hobbies: cinema, literature, painting and traveling. Languages: Arabic, French, Spanish, Catalan and English. She holds a Diploma in Tourism and has been a licensed guide since 2010. She loves travelling and discovering new countries, foreign languages and new cultures. After studying in Girona, she travelled and worked in France, Italy, Greece and Scotland in order to learn and improve on her English, until she decided to return home to Penedès, a region in Catalonia with one of the longest traditions of viticulture, just 45 minutes away from Barcelona. 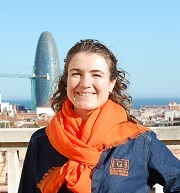 She feels privileged to live in Barcelona and to work in the field of tour guiding. She is proud of hosting visitors as well as explaining the stories, traditions, landscapes and secrets hidden in the Catalan territory. Hi there! I am a Translation and Interpreting graduate, currently studying a Master in Conference Interpreting at the UAB and a bachelor in International Relations at the UOC. My favourite hobby is traveling, since it allows me to meet new people from all over the world and to discover different cultures and traditions, as well as to practice language skills. When I was a teenager, I travelled to the United Kingdom and the United States to put my English skills into practice (in real life) and, later on, I did my University-exchange in Ottawa (Canada), a city that allowed me to improve not only my English skills but also the French ones. I see working in the Palau de la Música Catalana as an excellent opportunity, since it brings together the joy of meeting people from different countries, showing one of the most incredible buildings of Barcelona, and music — another of my biggest passions. I am very thrilled to show people around and help them understand the history and tales of such an incredible place. Are you ready to join me in this adventure? 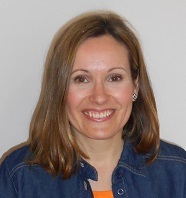 Miriam holds a Degree in Tourism and a Master’s in Tourism Management and Planning at the University of Girona. And in 2015, she obtained a scholarship from the Catalan government to develop a project in the field of Accessible Tourism. Although, she grew up in a mountain village, she didn’t hesitate to move to Barcelona to work as a tourist guide. She is cheerful and spontaneous. She shares her knowledge with passion! To her, this profession is fascinating because it allows her to learn and to meet people constantly. She is a lover of dance, gastronomy and ethnology. She likes to spend her leisure time in natural settings, trekking and enjoying the sunshine. Languages: Català, Español, English, Français.